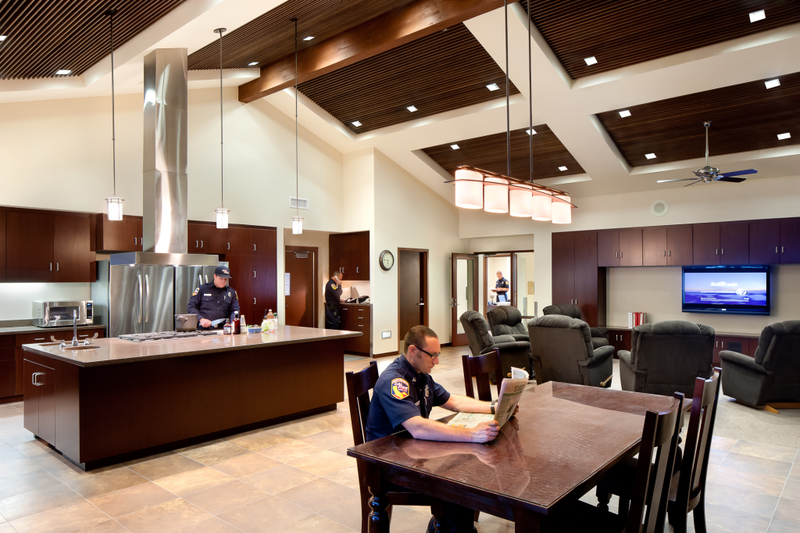 The challenge for this project was to blend in to an existing community where the design vocabulary was already established. 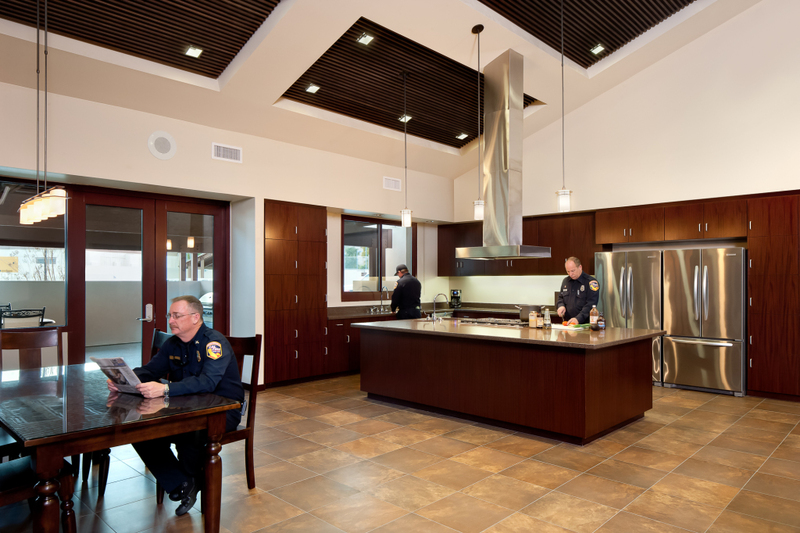 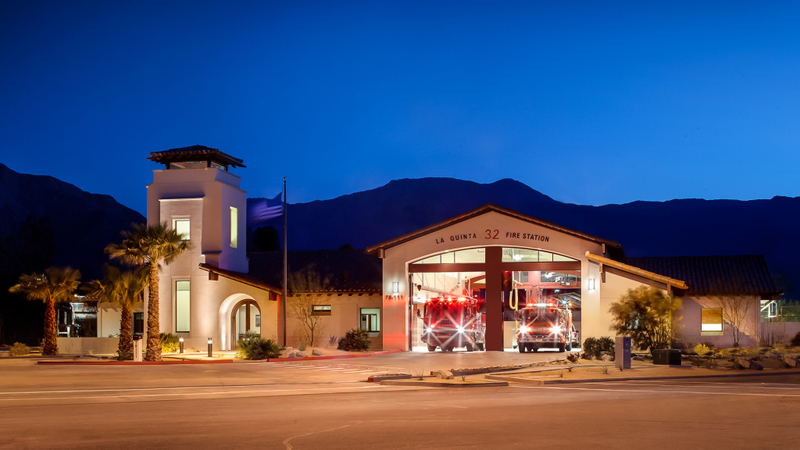 Fire Station #32 was built to replace the existing obsolete firehouse and improve response times to the City of La Quinta. 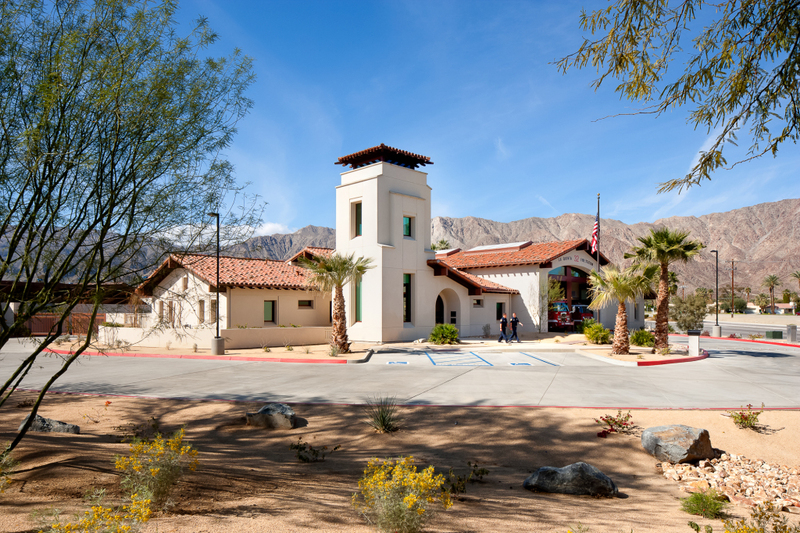 The 7,300 square foot, 2 double-bay, 1-story facility reflects the architectural character of the nearby historic Village District with its palette of stucco and tile. 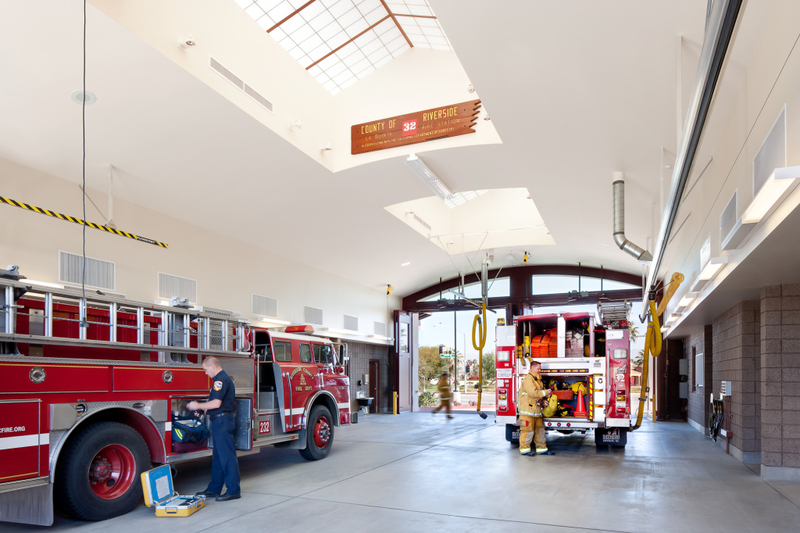 The associated site work included work with the City’s corporate yard improvements (and future phase buildings). 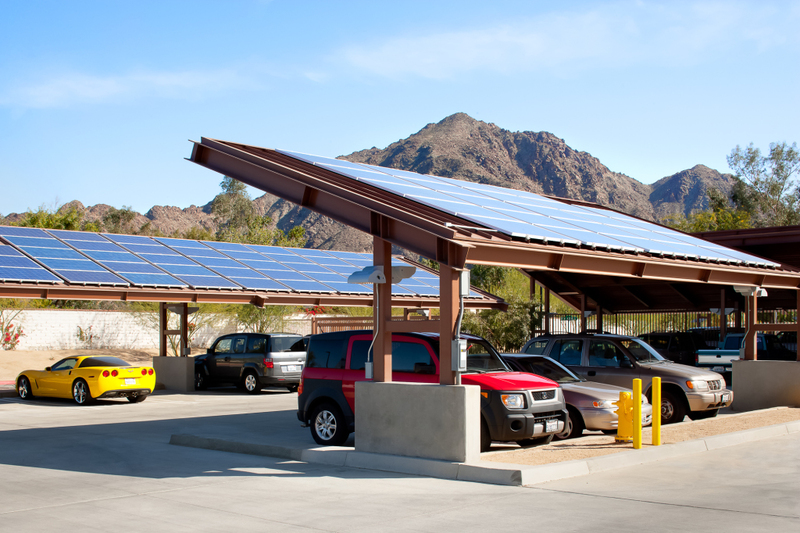 Vehicle carports were designed to protect cars from the intense desert sun and heat and to also support photo voltaic panels incorporated onto the roofs. 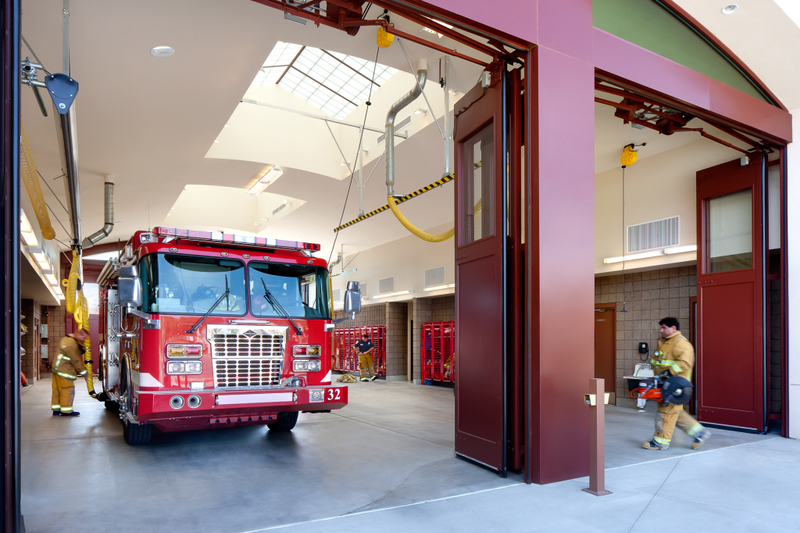 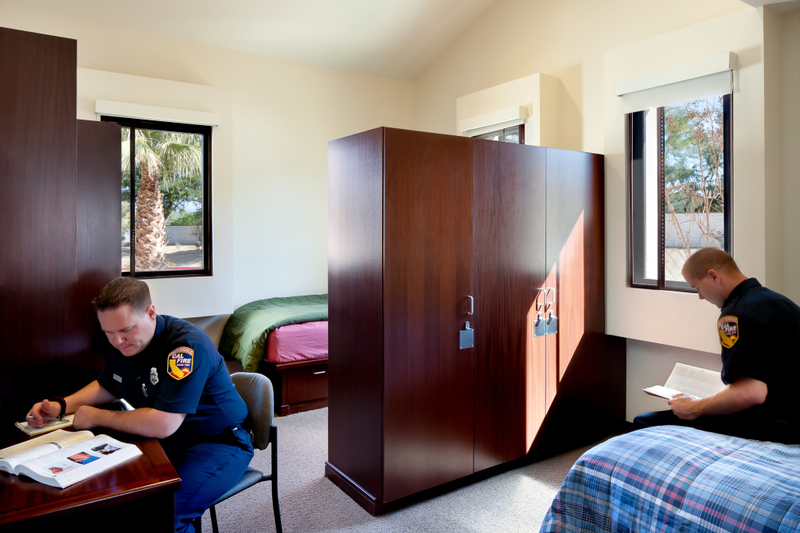 The building was completed under budget and designed to LEED Silver standards using durable, energy efficient fixtures, finishes and components throughout. 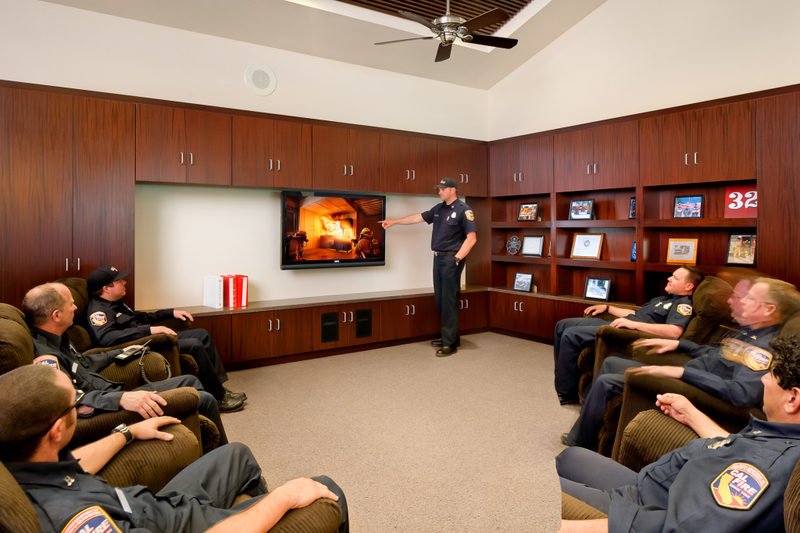 Stay connected to see some of our latest projects unfold and just to be cool.